Sinningia tubiflora is one of my favorite gesneriads. It does better outdoors than on grow shelves, liking a bit more light and growing a bit taller than your "standard" shelf. 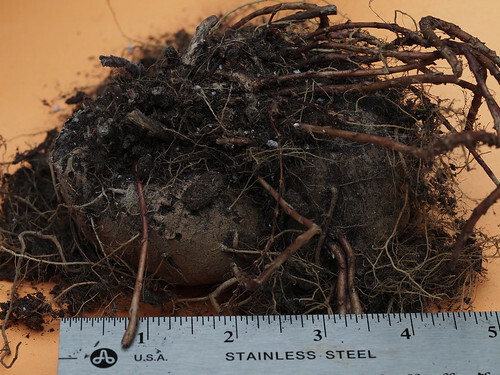 I bring the tubers indoors in late fall and store then wherever they land. This season, that meant they stayed in their wet potting mix in a cold spot. So it was with some trepidation that I opened the bag a few days ago - would the tubers be rotten through and through? The potato-like tubers of Sinningia tubiflora form underground - not near the surface like some other Sinningia. Easy to grow, easy to overwinter, white fragrant flowers. 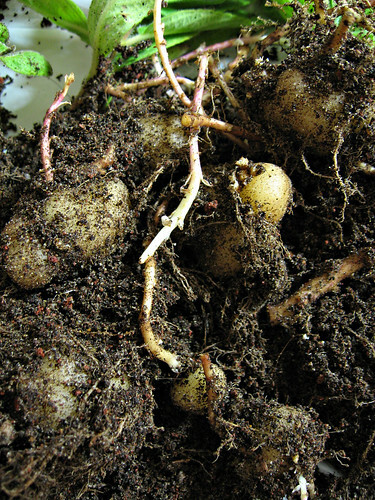 Propagate from tubers, cuttings, or seeds.